Since our commencement in this domain, we are engaged in offering a compact array of Laser Machine to our patrons. Manufactured at the certified vendors base, this range is fabricated under the guidelines set by enthusiastic professionals who make use of advent technology and machinery to design and develop this range within the stipulated time frame. Moreover, these professionals make use of optimum-quality raw material followed by advanced market methodologies that helps us to attain maximum level of patron satisfaction. In addition to this, patrons can avail this range from us in multifarious sizes and other details. We offer a qualitative array of Laser Cutting Machine also known as Embroidery Machines to our valued clients. Manufactured using superior quality raw material, this range is applicable in various industries and sectors. Available with us in various technical specifications of 70 - 80 W laser power, cutting thickness of 0-25 mm 2 x 2 mm, Letter 1 mm, these machines are quality tested as per industry laid parameters. 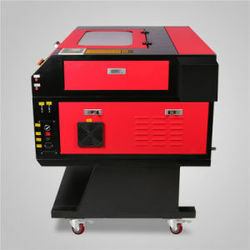 We offer a qualitative array of Laser Marking Machine also known as Embroidery Machines to our valued clients. Manufactured using superior quality raw material, this range is applicable in various industries and sectors. Available with us in various technical specifications of 70 - 80 W laser power, cutting thickness of 0-25 mm 2 x 2 mm, Letter 1 mm, these machines are quality tested as per industry laid parameters. We offer a qualitative array of Engraving Laser Machine also known as Embroidery Machines to our valued clients. Manufactured using superior quality raw material, this range is applicable in various industries and sectors. Available with us in various technical specifications of 70 - 80 W laser power, cutting thickness of 0-25 mm 2 x 2 mm, Letter 1 mm, these machines are quality tested as per industry laid parameters. We offer a qualitative array of Laser Machine also known as Embroidery Machines to our valued clients. Manufactured using superior quality raw material, this range is applicable in various industries and sectors. 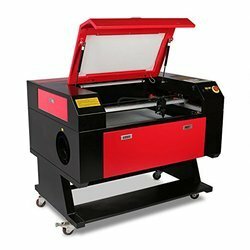 Available with us in various technical specifications of 70 - 80 W laser power, cutting thickness of 0-25 mm 2 x 2 mm, Letter 1 mm, these machines are quality tested as per industry laid parameters. We offer a qualitative array of CO2 Laser Machine also known as Embroidery Machines to our valued clients. Manufactured using superior quality raw material, this range is applicable in various industries and sectors. 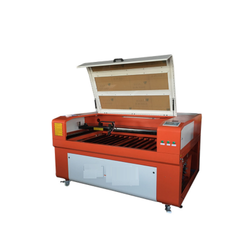 Available with us in various technical specifications of 70 - 80 W laser power, cutting thickness of 0-25 mm 2 x 2 mm, Letter 1 mm, these machines are quality tested as per industry laid parameters. 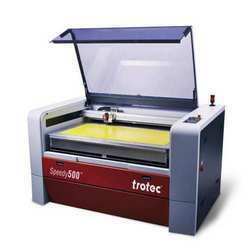 Looking for Laser Machine ?